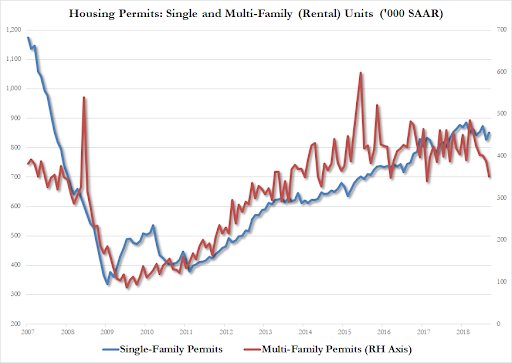 Permits' drop was driven by a 18.9% collapse in the Midwest (Northeast -9.8%, Midwest -18.9%, South +0.6%, West +11.1%). 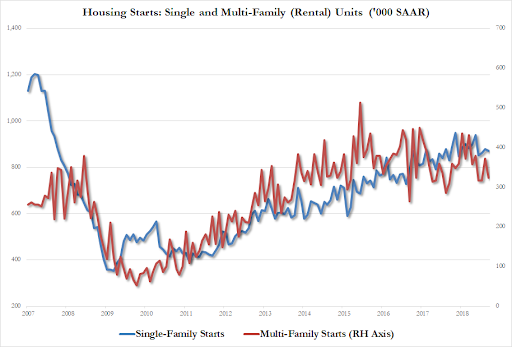 Single family starts dropped 5.3%, with single units down -0.9% but multi-family starts crashing -12.9%. 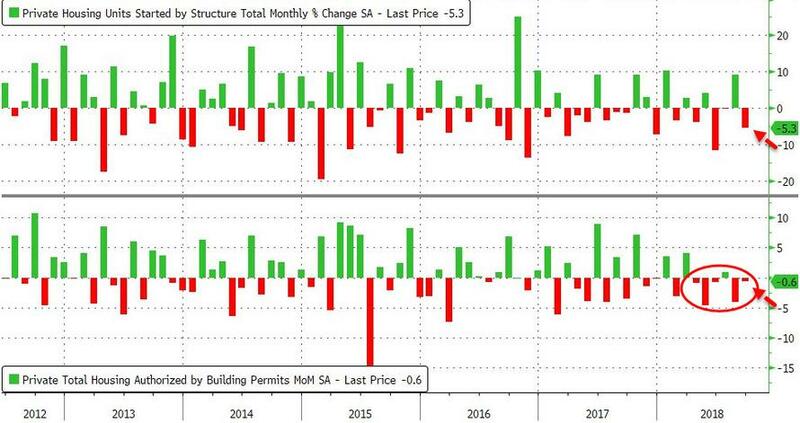 The Northeast dominated housing starts with a massive 29% spike while the South and Midwest tumbled (Northeast 29.0%, Midwest -14.0%, South -13.7%, West 6.6%). 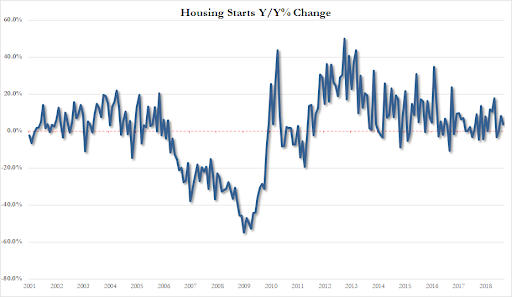 But hey, The Fed should keep hiking rates because "strong economy" and "inflation" and... well we give up.